Merillat Cabinetry is not just cabinets. First and foremost, it’s people. The people who create. The people who design. The people who have it in their homes. Together, we each bring our talents, our ideas, and our passions. And collectively, we are “America’s Cabinetmaker”. 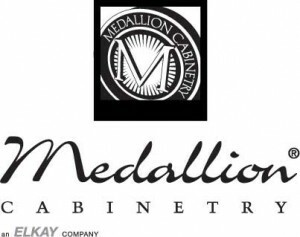 Based in Michigan, and part of Masco Cabinetry, Merillat has been providing quality cabinetry since 1946. With manufacturing plants located throughout the United States, Merillat has grown to become one of the nation’s largest cabinet manufacturers. Merillat offers the best selection of stylish, quality products at a variety of price levels, and all Merillat cabinetry carries the seal of the Kitchen Cabinet Manufacturers Association (KCMA) Certification Program, which assures that our cabinets meet or exceed the rigorous standards set by the American National Standards Institute (ANSI). Our cabinets are also independently tested to ANSI/KCMA A161.1-2000 and paragraph 611-1.1, “HUD Minimum Property Standards-Housing 4910.1” 9-8-86. Merillat cabinetry demonstrates its commitment to environmental sustainability through meeting or exceeding the requirements as outlined in the Environmental Stewardship Program certification, administered by the KCMA. All Merillat facilities have also obtained ISO 14001 certificate of approval, demonstrating our commitment to reducing the impact of operations on the environment. Check out the Merillat Cabinets Videos. Check out the Merillat Cabinets Brochures.